Now that we can buy everything online, from coffins to clip-on man buns, the offline world is struggling to deal with the onslaught of packages generated by our taps and clicks. And as anyone who has come home to a “sorry we missed you” notice knows, the Achilles’ heel of online shopping is a late, or unsuccessful, delivery. Looking to make it easier for you to connect with those packages, and maybe sell you a few Slurpees in the process, is 7-Eleven, which recently announced that it is adding storage lockers to more than 200 locations across America and Canada. The service means that anyone who shops online with a retailer who uses UPS or FedEx has the option of having their package sent directly to the nearest 7-Eleven for pick-up. Customers receive a barcode on their smartphone, which is scanned at the locker in order to open the unit and receive their goods. The convenience store chain also is adding Wal-Mart lockers to six stores in Toronto to test the service with the top U.S. retailer. 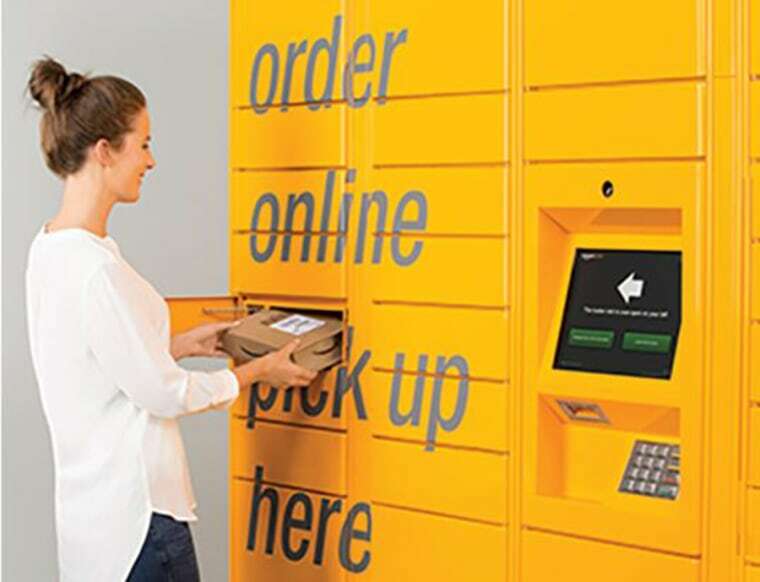 7-Eleven previously partnered with Amazon in 2011 to host these “click and collect” package lockers, and is clearly banking on the fact that customers popping in to pick up packages will also make on-the-spot purchases of milk, bread, batteries, or a snack. And online retailers are hoping to cut back on shipping costs – which, for Amazon totaled $8.7 billion for 5 billion packages last year. "The benefits to FedEx, UPS, etc., is that they don’t have to go down crowded streets dropping one-offs in NYC, for example," explained Bob Phibbs, CEO of the Retail Doctor, a retail consultancy based in New York. "The more they can deposit in a central location to the neighborhood, everyone wins." Although it may initially seem counterintuitive to order online and then fetch from a store, the “click and collect” system is already par for the course in other parts of the world. Given the choice of waiting home for a delivery or picking it up from a corner shop, a supermarket, or even a local gas station, Europeans embrace the convenience of alternative options.